The summer months are fast-approaching in Gilbert and the Phoenix Valley. Summer means hotter temperatures and brighter days — so the right window treatments are crucial. We can make sure you’re prepared for the heat, while also giving your home a fresh new look! At Athena’s Window Fashions, we offer the best selection of window treatments in Gilbert, from blinds and shutters to custom draperies, and more! We’ve got some fresh ideas on new window treatments that can transform your home for the summer. Blackout linings are a great way to have complete control of the level of lighting. They also help regulate the rising temperature as the bright Arizona summer sun shines through your windows. And the good news is, blackout linings are useful all year round, because they also contain thermal properties to keep the cold out. The thickness of the lining also acts as a protection for curtains and blinds by preserving the vibrancy of colors and the quality of the fabric. Blackout linings can create a fuller look too, which can add a sense of sophistication. And, as if all this wasn’t enough, they also help you sleep better. Shutters are another way to control the light and temperature. 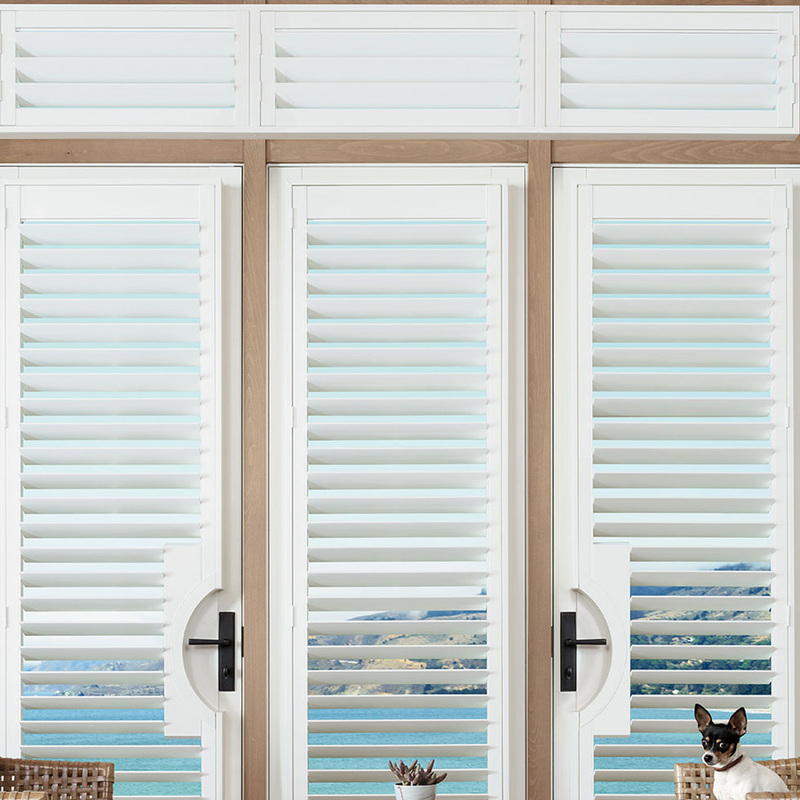 Be sure to check out our full line of Hunter Douglas shades and shutters, which provide variable light control, insulate rooms against heat and cold while saving energy, and protect your furnishings from damaging UV rays. Using lighter colors and tones can give a room a brighter feel for the summer. Versatile shades such as neutrals and pastels can blend into other color palettes and textures seamlessly, making them a great addition for any style. Introducing colors through patterns is another way to brighten things up. Using a colorful shade within a neutral-colored pattern is a great way to add liveliness to your decor. We can help you pull your whole room together by matching colors included in curtains or shades to other details of the room. If you’re looking to stay cool and transform your home this summer, look no further than Athena’s Window Fashions! We’ve got an extensive inventory of window treatments in Gilbert at our showroom. Stop by and talk to one of our experienced interior designers. We’re passionate about helping you achieve your summer dream home! Saturday & Evenings, by appointment only. Athena’s Window Fashions offers curtains, blinds, shutters and custom draperies. We have been serving happy customers in the greater Phoenix area (Gilbert, Chandler, Mesa) for over 25 years. We offer custom draperies as well as curtains, blinds and other window coverings from top brands such as Hunter Douglas, MechoShade, Tableaux® and more.